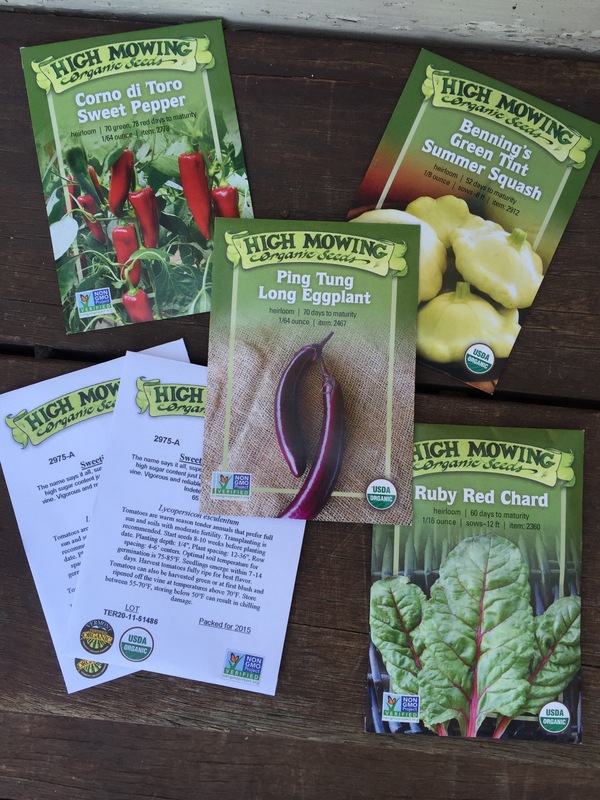 I was thrilled to get seeds from High Mowing Organic Seeds as a Stonyfield Blogger and I have been waiting for all our snow to melt to plant them. 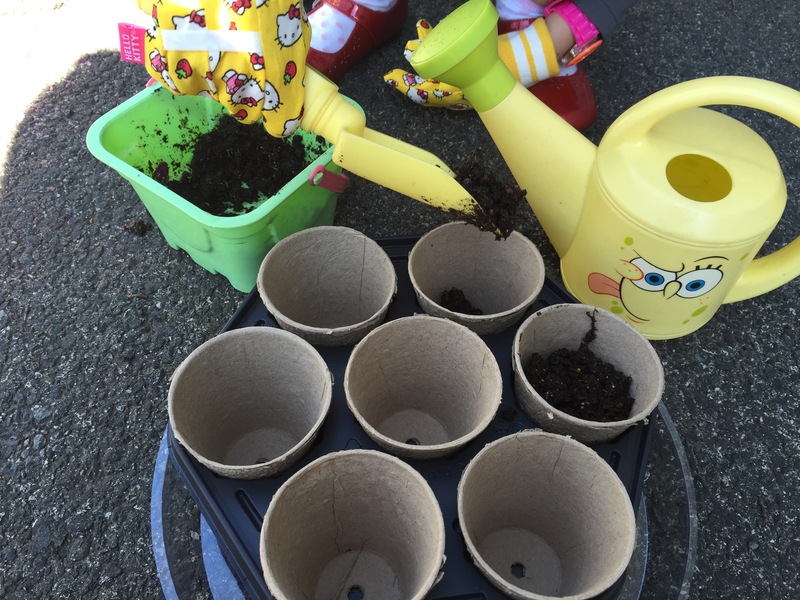 Earth Day was the perfect day to clean up our spot of Earth a bit, plant something, and celebrate Spring! Living in the city doesn’t always lend itself to gardening, but a little porch and some small pots make for a simple city garden. High Mowing Organic Seeds is a Vermont company and they sent us a nice assortment of seeds including sweet peppers, chard, long eggplant, sweet tomatoes, and summer squash. I have never planted seeds before, so we will see how the veggies sprout! Because we live in the city, I decided to buy small pots that could be replanted in our side garden area. 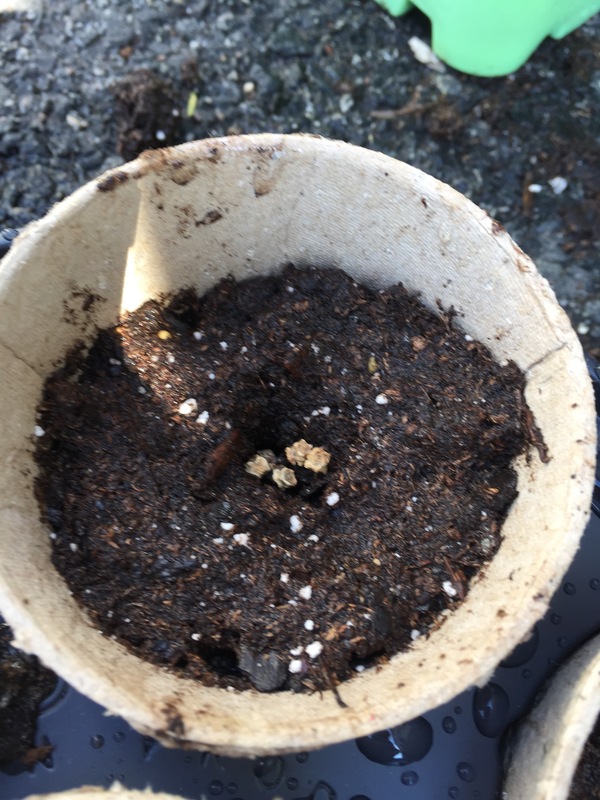 We should probably have planted them in rows, but I’m new to this seed planting, so we did a few sprinklings in our round mini pots. 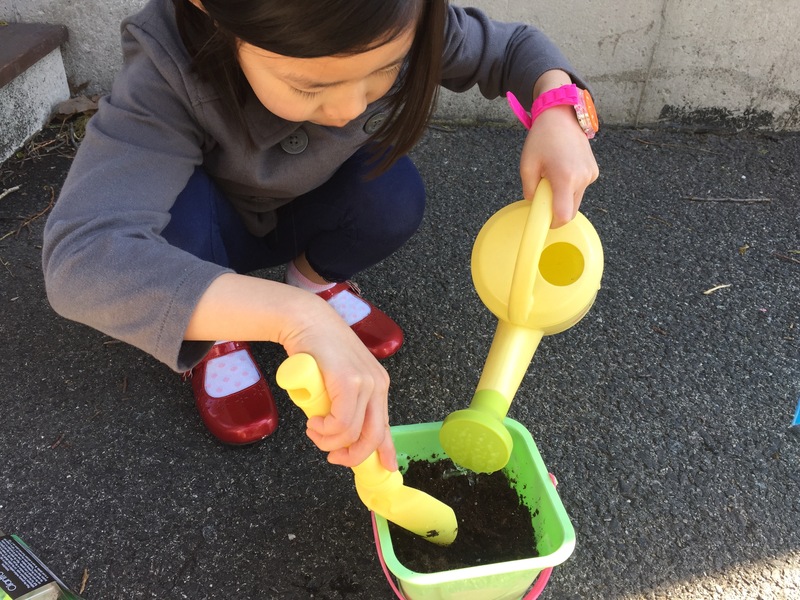 We made sure our soil was a little moist and scooped our mixture into the pots. We took a small stick and poked a 1/4 inch deep hole, dropped some seeds, and then covered it with a little more soil. 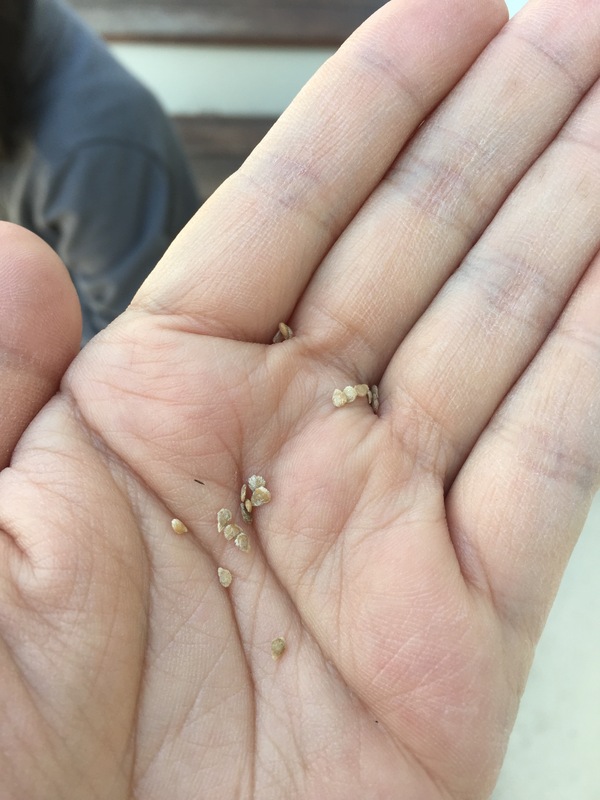 The seeds are so interesting to look at because they are very different than what I had imagined them to be. Can you guess what vegetables these seeds will become? We watered the pots a little more and then placed them in a sunny spot on our back porch to warm them up. We will probably make sure they don’t dry out and they get tons of sun. Hopefully, we will see some little sprouts in the next week or two. 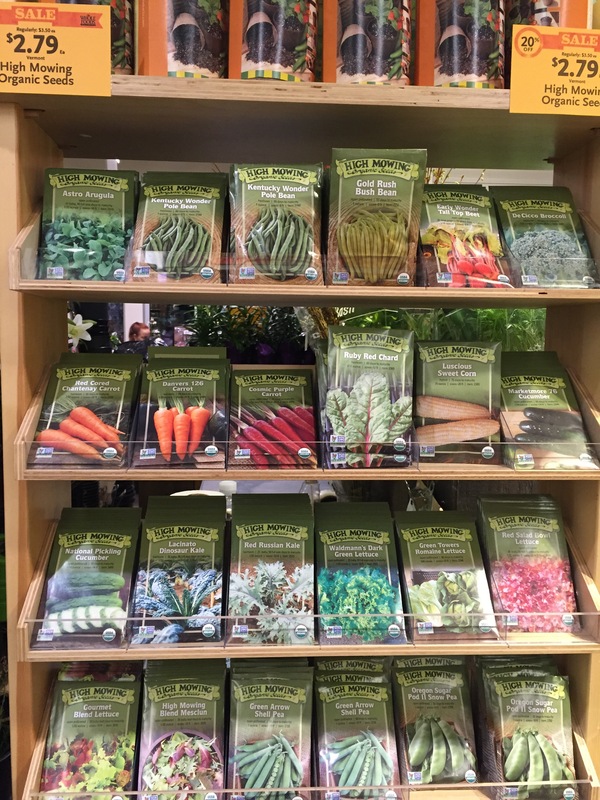 If you want to plant some seeds, you can grab the High Mowing Organic Seeds at Whole Foods, Home Depot, or your nearby garden center. I found them for sale at Whole Foods a little while ago for $2.79 a packet. 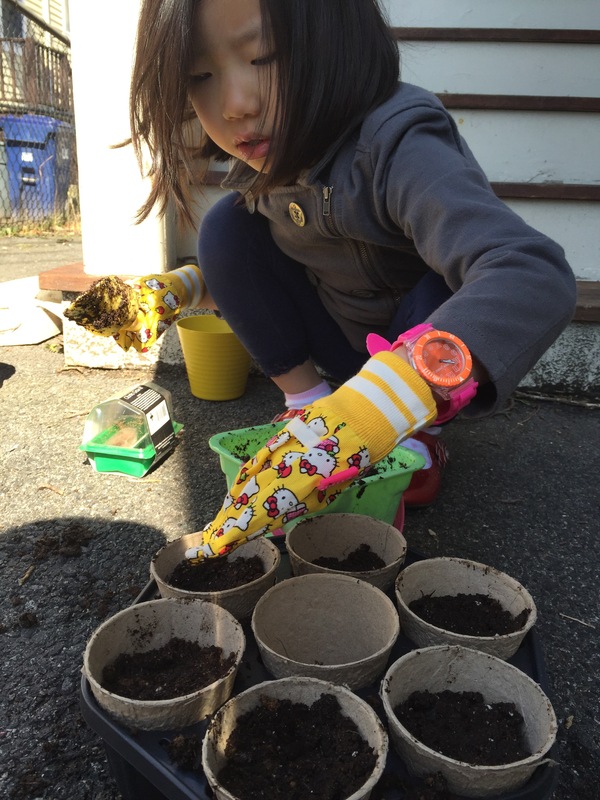 How did you spend your Earth Day and what things do you like to garden? I’m definitely going to do herbs like basil and cilantro next and probably will also do some flowers. I can’t wait to see our little sprouts and Ninjette can’t wait to see how the vegetables taste! All opinions expressed are my own and Ninjette did most of the planting because I was busy taking pictures. She can vouch that I was an excellent assistant.